Economic bristle paint brush with wooden handle. 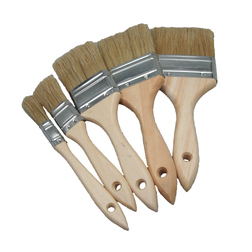 Wooden handle bristle paint brush with robust metal collar holding the bristles in place. These brushes are useful for working with epoxy, resin, bilge paint, antifouling paint and many other applications.